When I was a kid I was the typical 1970’s Midwestern kid who loved to “play Army”; whether it be with my GI Joe, plastic army men or acting out battles with other kids in the neighborhood. We lived in suburbia and had access to large tracts of woods where we could go and pretend we were in the woods of northern France during WWII or fighting redcoats in the Virginia countryside. But we never had a real fort. 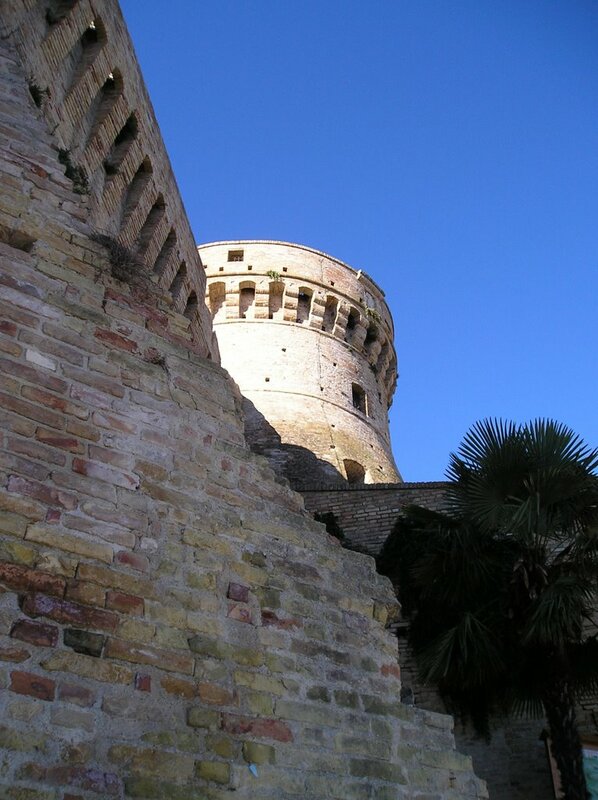 We have visited forts in the Caribbean and other parts of Italy but most of these are surrounded by towns. Near Ascoli we have found two very well preserved medieval fortezze, both sit high on ridges above the surrounding country. The first one we visited while here on our apartment hunting trip in August was at Acquaviva di Picena near the Adriatic coast. 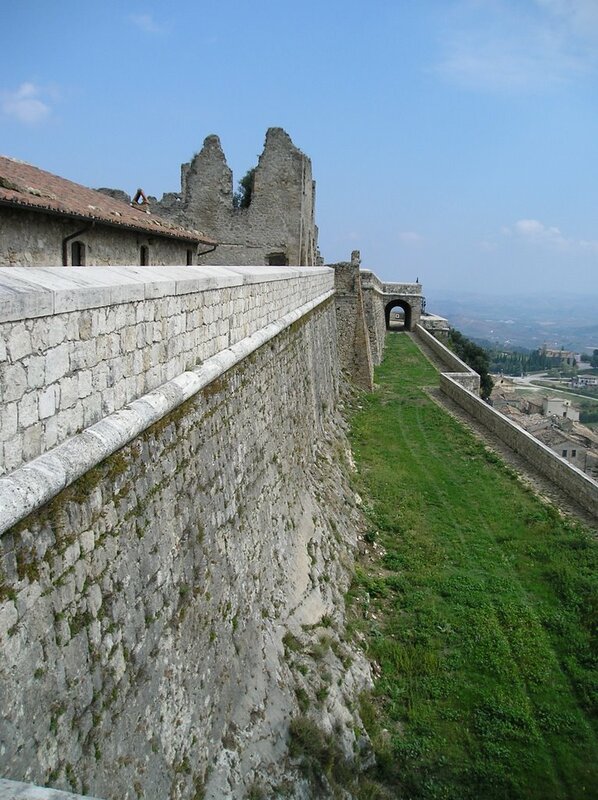 This star shaped fortezza that sits above town has ramparts and towers you can walk and climb up with impressive views of the town it once protected. The second fortezza we visited on Wednesday is at Civitella del Tronto just over the Abruzzo boarder. This fortezza is from the late 1500’s and was the northern boundary of the Kingdom of Naples and later the Papal States. It is best known as one of the last hold-outs against the Italian unification forces in 1861. This impressive structure spreads out 1500 feet along a ridge jutting out over the surrounding valleys. Wandering both of these fortezze reminded me of my days as a kid and how something like this would have had me and my friends running around for hours with our imaginations in full gear. And I have the home movies of some of these battles.